Living in a democracy is a precious gift, and as Christians we understand ourselves to be stewards of the gifts God has given us. With the right to participate in the political process comes the responsibility to exercise that gift on behalf of the common good. Go to the Wisconsin Voter Information site at https://myvote.wi.gov, select your “Voter Category” and enter your name and birthdate to check your registration status, find your polling place and municipal clerk contact information, see a sample ballot, and find additional voting information. You can also find out how to register to vote or re-register if your address has changed. To register to vote, you will need to bring a photo ID as well as some proof of your residence. You can also register at the polls. Early Voting has started – and will continue to Friday, November 4th. In Sheboygan, you can vote Monday-Friday from 8 am to 5 pm at the City Clerk’s office in City Hall (828 Center Ave.). If you live in another municipality, check with your municipal clerk for location and hours. 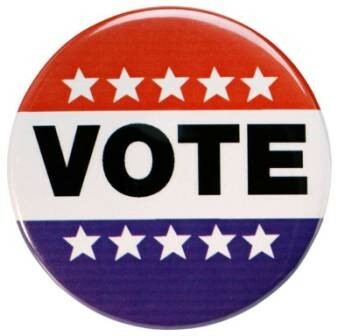 Absentee voting – go to http://gab.wi.gov/elections-voting/voters/absentee for deadlines and other information needed if you need to vote absentee.